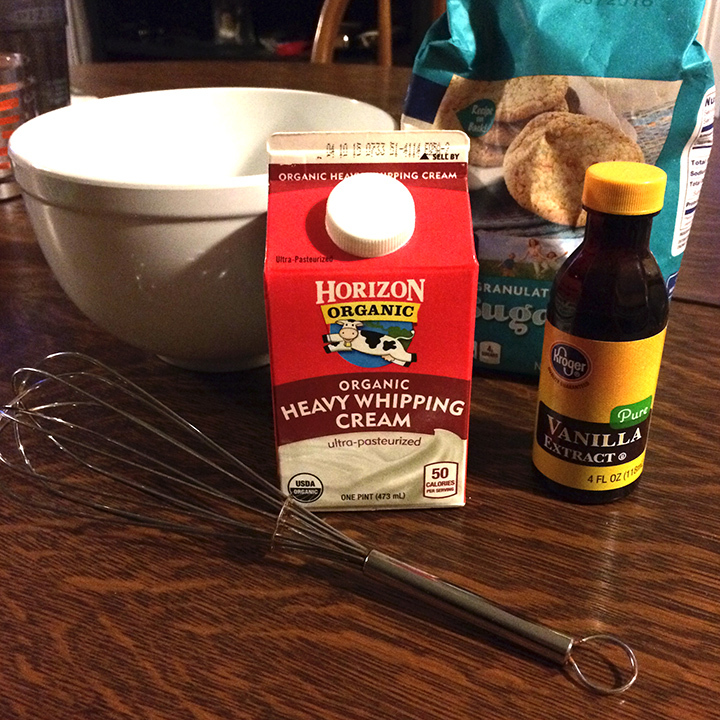 I recently decided it was time to bust out some skills I learned in 7th grade Home Economics…homemade whipped cream! The only reason I remember making this one is because I giggled incessantly every time my teacher said “stiff peaks.” Give me a break…I was 12. And maybe I still giggle. Anyway, whipped cream from scratch tastes so creamy, rich, and much less processed than store-bought Cool Whip; you will never go back. Plus, it’s only made with 3 ingredients, some arm strength and maybe a little patience. Yes, you can use an electric mixer. But the pain makes it taste even better! It’s just science. 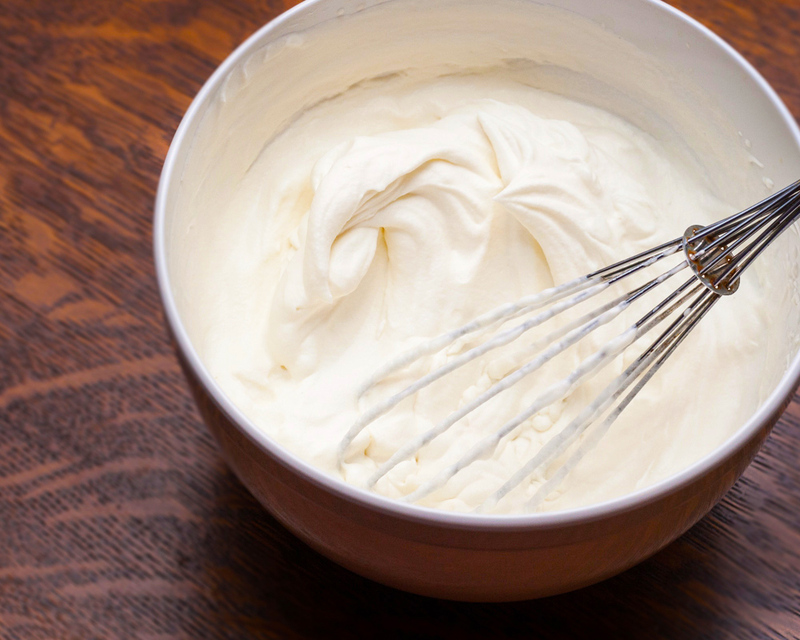 Grab yourself a whisk and just whip the hell out of it until stiff peaks (ha) form. This basically means that when you lift the whisk out of the cream, it forms a little mountain peak that does not flop over. This took me about 7 minutes of whipping. You can also use an electric mixer, which is both quicker and less of a workout. Add to pie, ice cream, cake, or have my personal favorite of fresh strawberries and cream!